This is a beautiful place! We could not have asked for a better place to get married and the cabin really tops everything off! Thank you so much for everything! The Running Horse Barn is located near Nashville, Indiana on a 150 acre Paso Fino horse farm. This restored mid -1800’s barn with hand hewn beams is surrounded by the beautiful hills of Brown County and provides an idyllic setting for weddings, special events and corporate activities. Included as part of this facility is a beautifully restored historic hand hewn Civil War era log cabin (3 bedrooms, 2.5 baths) , all of which provides a perfect venue for your special day, with beautiful and multiple backdrops and settings. Relax and prepare for your big day with a dip in the hot tub, enjoy family games and foosball or kick back by the fire pit and enjoy the star filled sky. 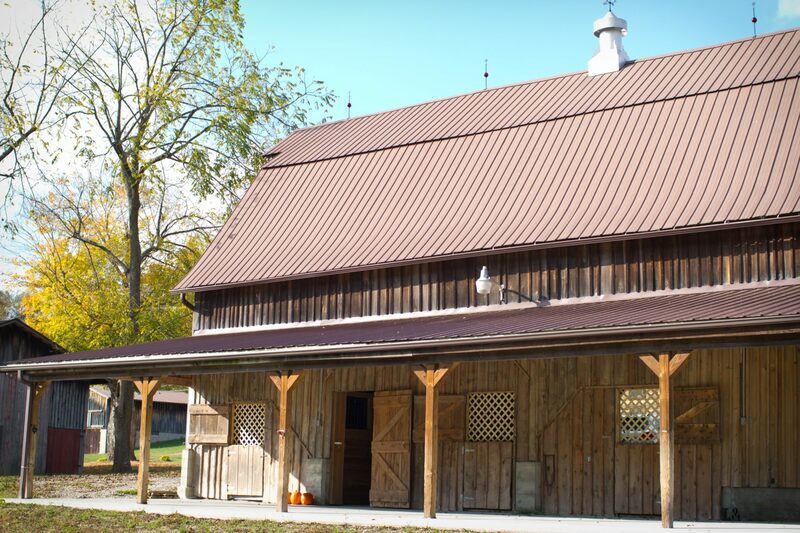 The Running Horse Barn is located 5 miles from Nashville, 12 miles from Columbus and 18 miles from Bloomington.